Berkery Noyes Represented The Riverside Company on the Sale of HCPro Holdings, Inc. to Halyard Capital, LLC. - Berkery, Noyes & Co., LLC. 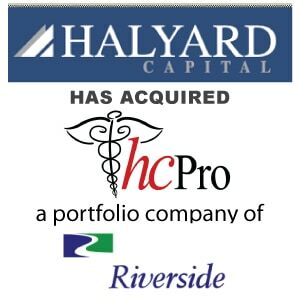 New York, February 13, 2008 — Berkery Noyes announced today that the firm represented The Riverside Company on the sale of its portfolio company HCPro Holdings, Inc. to Halyard Capital. The management team will continue to have an investment in the new entity. Terms of the transaction, were not disclosed. “This is an excellent match with Halyard Capital backing a veteran management team with a winning healthcare and information franchise.” said Tom O’Connor, the Berkery Noyes Managing Director who managed the transaction on behalf of Riverside Company. “HCPro is a world class franchise in a growth segment of the ever expanding healthcare market,” O’Connor added. Berkery Noyes acted as The Riverside Company’s exclusive financial advisor and represented it in its negotiations with Halyard Capital, LLC. 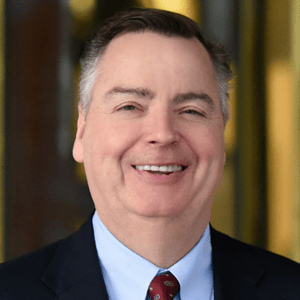 Berkery Noyes is one of the pre-eminent merger and acquisition firms serving the information industry, having completed more than 400 transactions since its inception. Among the most recent transactions completed by Berkery Noyes are the sale of Center Watch/NEIRB to Jobson Medical Information a portfolio company of The Wicks Group, HMP Communications to Alta Communications in partnership with Paul Mackler and Ken Fisher, the sale of Complete Healthcare Communications to MediMedia a portfolio company of Vestar Capital Partners, the divesture by The Thomson Corporation of American Health Consultants to Thompson Publishing Group; acquisition by Springer Science + Business Media of Current Medicine Group; acquisition by WebMd Corporation of Conceptis and the acquisition by The Wicks Group of DesignWrite, Inc..